High quality rice. 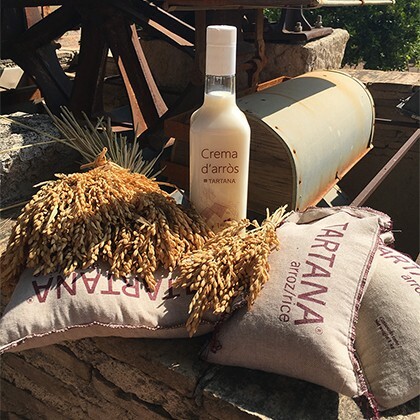 Natural Product of the Albufera of Valencia with Protected Designation of Origin. Dried in the sun and with the Mediterranean breeze. 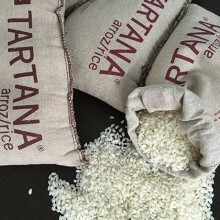 Tartana rice is grown on the island of L'Estell in the Albufera of Valencia. Its supreme quality comes from the privileged enclave, since these lands have been won to the Natural Place of L'Albufera and its characteristics are unique. 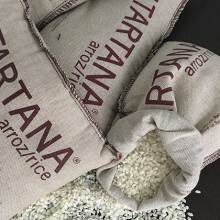 Tartana rice is grown by our neighboring farmer. 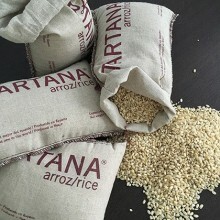 Given its high quality we want to offer this typical Valencian rice to our customers. Sènia Rice: Grains that absorb extraordinarily the good taste, which have a very creamy texture and once cooked are very juicy. 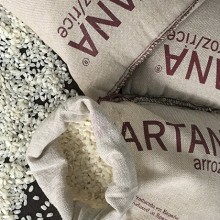 "Bomba" rice: Grains with great flavor absorption and with a firm and loose grain. When it cools, once cooked, the grain acquires a greater consistency (unlike most commercial varieties) and exudes part of the liquid absorbed during the cooking for which is tastier and juicier a few minutes after being removed from the fire. 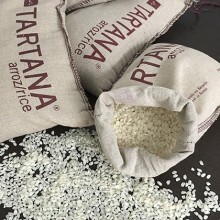 Albufera Rice : It is an extraordinarily creamy rice once cooked. The surface is very moist while the grain remains consistent. Once removed from the fire, the grain does not evolve, keeping its organoleptic qualities intact.